You want Instagram likes? Get thee to an art museum, stat. In case you haven’t heard, museums and galleries are the hottest spots to get your next profile picture. There is no better way to get photographic evidence of both your refined tastes and shapely buttocks than by having someone behind you take your photo while you stare pensively at a large canvas. The question is: Is this such a bad thing? The casual museum goer typically won’t give much care to the complicated legalities of copyright. (Don’t you go cropping that intellectual property!) Some—like those sore from a recent selfie-pursuer taking out one of Kusama’s glass pumpkin sculptures at her current exhibition at The Hirshhorn in DC—may advise more literal caution.This is not a new phenomenon, but increased social media fluency in both the audience and the institutions means that 1) we can expect to see more photo shoots at art institutions, and 2) art institutions shouldn’t miss out on harnessing this activity for good. But really, it should be no surprise that someone would eventually wield a selfie stick to destruction, intentional or not. Kusama’s pieces—small, 10-foot cubes with mirrored floors designed to put up to three visitors in a vertigo-inducing infinity of pattern and color—are literally meant to put the viewer in the art. 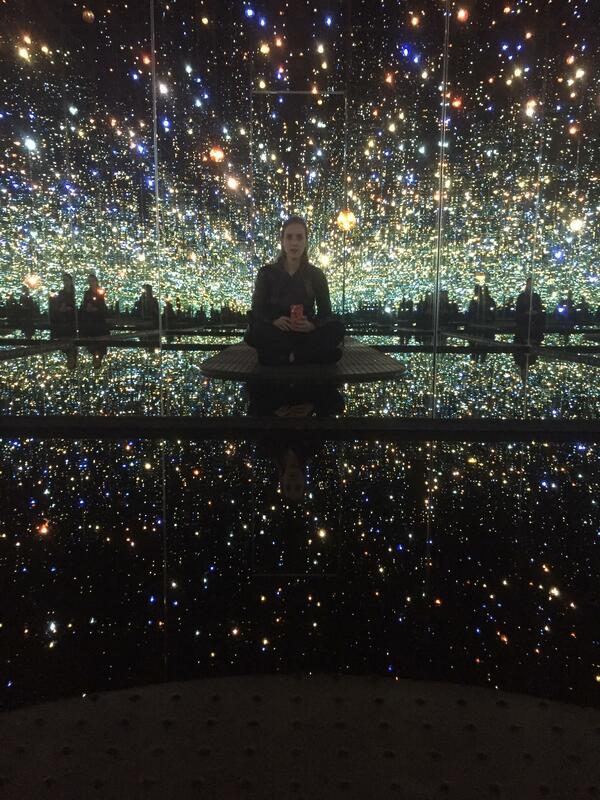 Hers and other immersive installation pieces (particularly those including lights and mirrors) are the gold standard for the Ultimate Art Selfie. You hit the perfect balance of seeing and being seen because the art itself is made more complete by your presence. There is no doubt the Hirshhorn knew that an exhibition of this type of work would draw hordes of young people, phones grasped firmly in their fists. 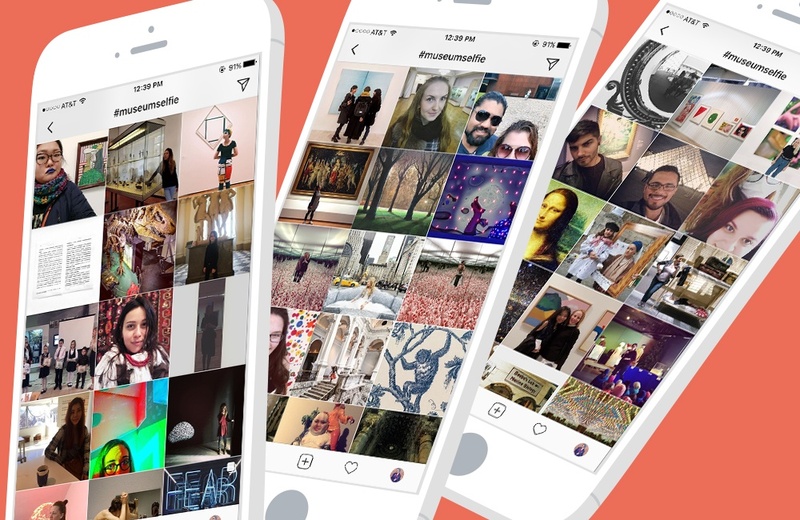 So we return to the question: is the growing Instagram culture invading art institutions really such a bad thing? Let’s start with the motivation—I think that people post on Instagram to share what you’ve seen and where you’ve been, but, more importantly, who you are. The best posts are aspirational and evoke a touch of envy. As a part of the art world (and in full knowledge of the financial and business challenges that art institutions face), this desire of young people to document and share, see and be seen, can and should be fully embraced. It’s people telling their friends that this museum/concert hall/theatre/etc. is verifiably cool. Being here should be envied and aspired toward. Seeing art means that you are smart, stylish, beautiful and interesting. This celebration of art and the public spaces that contain it is a powerful force. It’s an energy that can benefit arts institutions if harnessed. Include the artist and title of the piece in your photo. Encourage your friends to explore this artist’s work. Just because the art doesn’t hang on a wall doesn’t mean there wasn’t an artist who deserves credit. At performing arts events—ballet, theatre, concerts—tag the set designer or the musicians or actors whose performances you enjoyed. Their names can be found in the program. Emulate your favorite posts but don't be afraid to express your own creativity and seek out a fresh new angle on the art. Obey the obvious. Don't step over the white line. Don't touch the art. Avoid using your flash. Don't take a photo during a performance. Whatever you do, watch out for pumpkins. And finally, remember to spend some time with the artwork before or after your photo shoot is complete. You're actually there to see the art, after all. What do you think? Any additions to the list, counter-arguments, or stellar museum selfies to share? Send them our way!